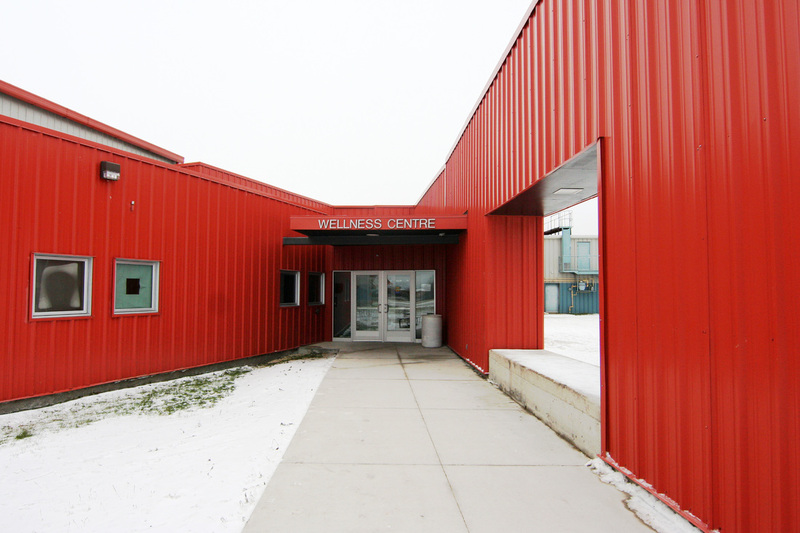 The Pas Wellness Centre is a community place for gathering and multiple activities. 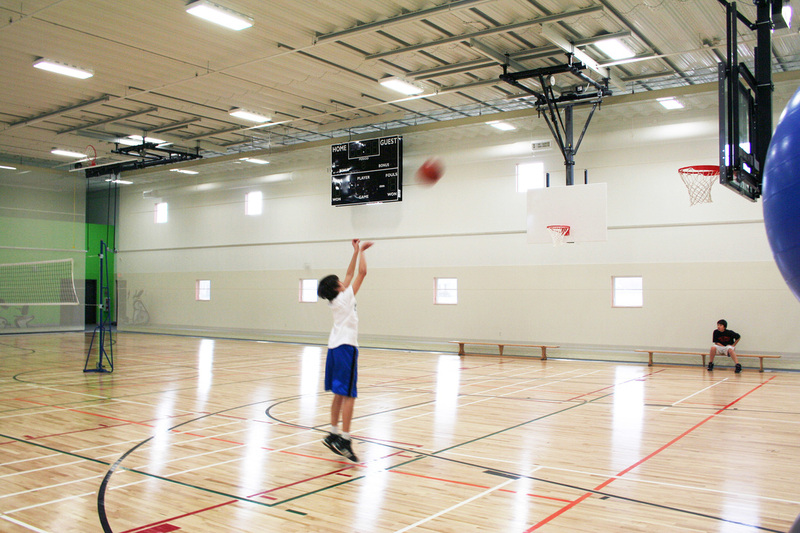 The LEED standard design provides a track, basketball court, physiotherapy room, fitness machine room, a retractable stage for community theatre performances and a storage area. Innovations to the pre-engineered envelope include a solar wall (keeping heating costs low). Window slits in the cladding increase quality of light. The second component of the design is a small-scale LEED® Silver welcome pavilion linking the existing arena to the new multi-purpose facility. Consisting of four offices, reception and security areas, it was constructed using local builders and suppliers. 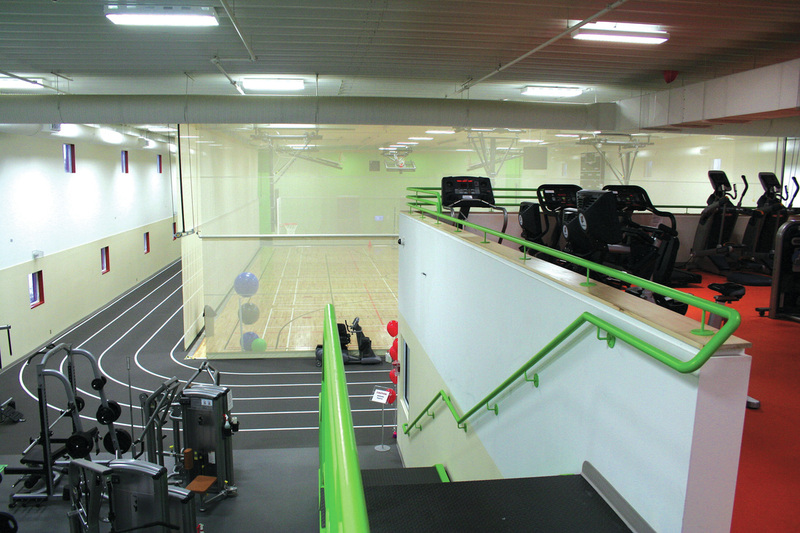 It is accessible by wheelchair and designed to enable people with visual impairment to navigate the facility with ease. The community hub aspect is accentuated by a long community bench (extending the full length of the pavilion) used as a meeting place for visitors. 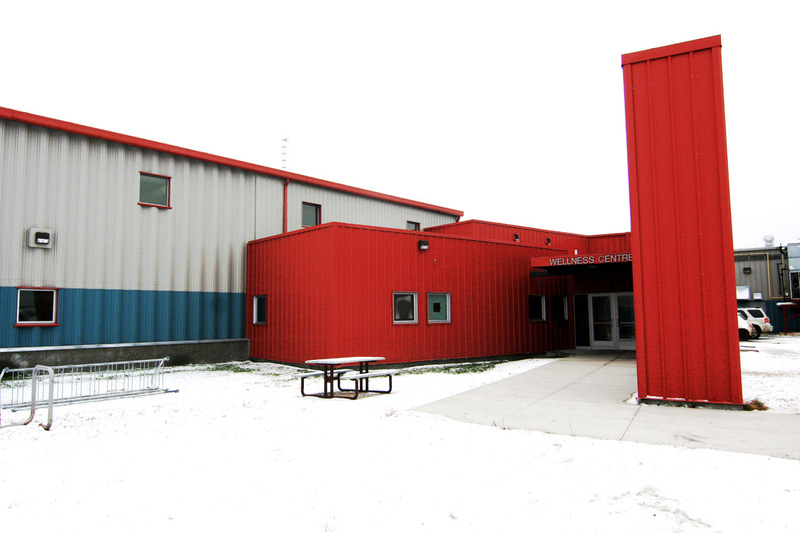 The Centre opened in 2009.